We all know someone who raves about the neighbor next door. She’s sweet, and so are her cookies, he’s handy and helps shovel snow. And on and on the accolades go. Well, what about a neighbor that offers musical concerts and other entertainment nearly every day, free admission to a renowned art museum, access to state-of-the-art libraries and more? Oberlin College, a private liberal arts college with roots reaching back to 1833, is that kind of neighbor. No surprise that many people, including residents of Kendal at Oberlin, move to the area in part because of all that the college offers the neighborhood. Here are at least 7 reasons why Oberlin College is a great neighbor to have. The college’s Conservatory of Music is home to nearly 600 students (from 22 countries), 1,500 musical instruments and 238 Steinway pianos. Students, faculty and visiting musicians perform nearly 500 concerts on campus each year, many of which are free. 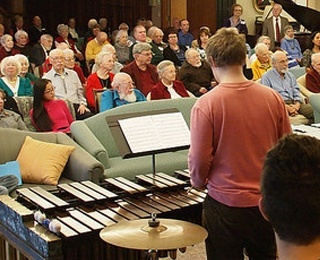 Kendal at Oberlin provides transportation to the concerts for residents and hosts many performances affiliated with the conservatory on its campus. As the oldest continuously operating conservatory of music in the U.S., Oberlin’s conservatory brings world-class entertainment to Northern Ohio. The Allen Memorial Art Museum has an outstanding collection of nearly 14,000 works of art, with emphasis on European and American paintings and sculpture from the 15th century to today. Museum admission is free. In addition to the recently renovated building located in downtown Oberlin, the museum also oversees the 1948 Weltzheimer/Johnson House designed by Frank Lloyd Wright. The house, located south of campus, is open seasonally for tours at a nominal charge. From lectures to dance, poetry readings to sporting events, the College’s events calendar is packed with educational and entertaining events year-round. 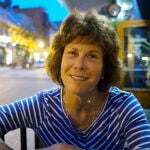 The line-up includes writers, scientists, journalists, activists, artists and entertainers. The century-old Apollo Theatre, located in the heart of the city, is now owned by the college and managed by Cleveland Cinemas. The 7-theater Greater Cleveland consortium offers moviegoers a rich selection of independent and foreign movies along with the blockbusters. A $6 million renovation of Apollo, which included restoration according to National Park Service Historic Preservation standards, was completed in 2013. The Peter B. Lewis Gateway Center, featuring a hotel, restaurant and conference center, will open soon. In addition to the 70-room hotel and conference center, the complex includes commercial and office space, a culinary training facility, and a restaurant featuring locally grown and sourced fare. The center is named for the late philanthropist and chairman of Progressive Insurance Company. 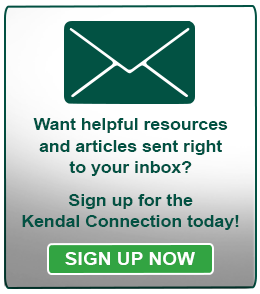 With permission of the professor or instructor, Kendal residents can sit in on a course at no cost. “I get a tremendous kick out of being around 20-year-olds, watching the interplay between them and the faculty, just listening to them. It helps me forget I am 91 and sat in those classes 70 years ago,” says resident Jim Sunshine, a retired newspaper editor from Rhode Island. Residents of Lorain County, where Oberlin is located, can borrow books from the any of the four college libraries – main, art, conservatory and science.